Do you not just love that Stamp and Die set? Kristina Werner designed these for Simon Says Stamps, Stamptember celebration last month. I see lots of great projects with this. I ordered the stamp/die set earlier this week and hopefully it will be waiting for me this evening when I get home!! Really love your color palette on this card. I really like the way this card turned out! Thanks for giving us so many good ideas! 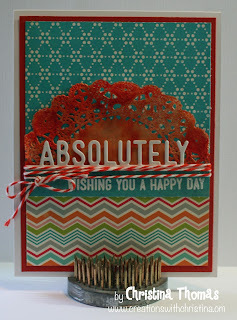 Love the zig zag paper and the twine. Great card. This is such a sweet card! I really like the die. Everything popped out so nicely. Thanks and have a good weekend. Beautiful card! 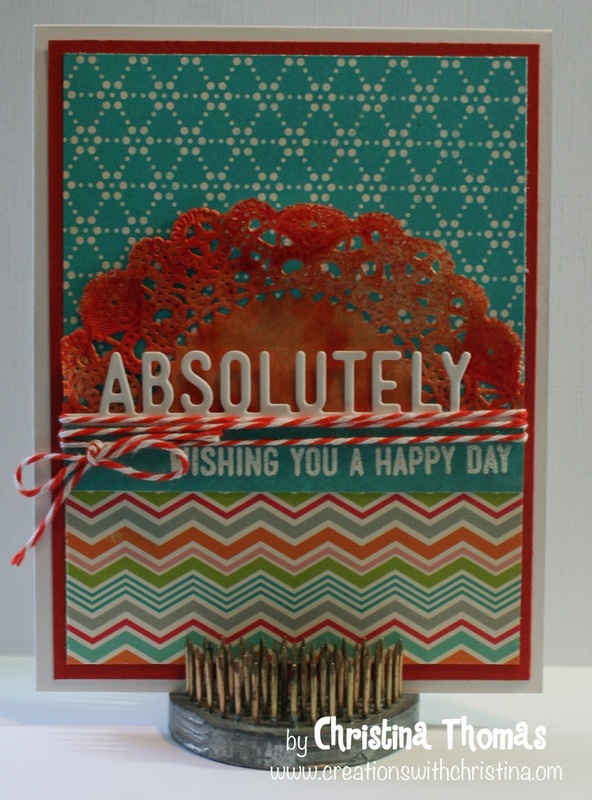 Love the colors and the added texture of the doilie!